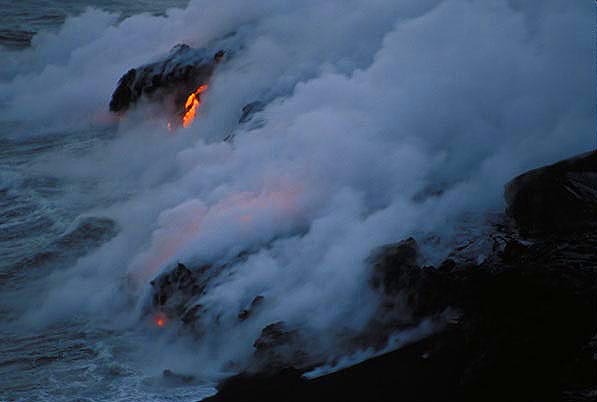 Lava entering the sea from 2 spots at the edge of the bench at night of 30 Nov.2000. Stars above the glowing steam cloud. Occasionally mixing of boiling water and the hot lava causes small explosions. (28 Nov. 2000). 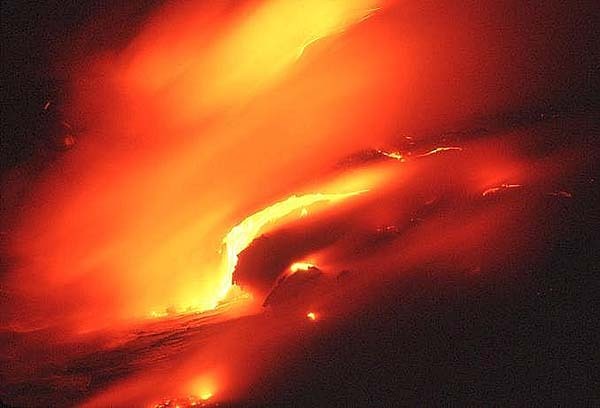 Lava entering the sea (12 Dec. 2000). Small explosions caused by rapid vaporization of sea water (28 Dec. 2000). 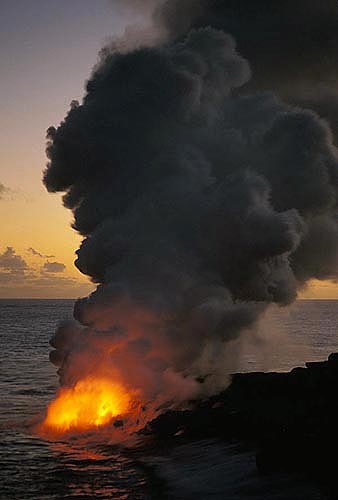 Steam plume at the lava ocean entry (28 Dec. 2000). Pulama pali and a close-up of fast running liquid lava in small channels. 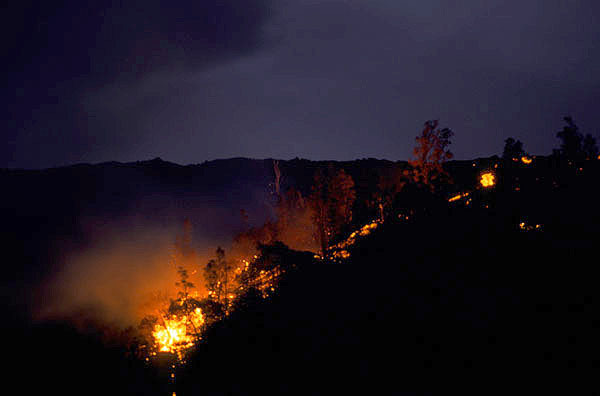 A lava flow destroying forest seen at night. At the end of a 3-days long pause lava breaks out from the old tube system, descending as pahoehoe and aa flows the slopes of the pali below. 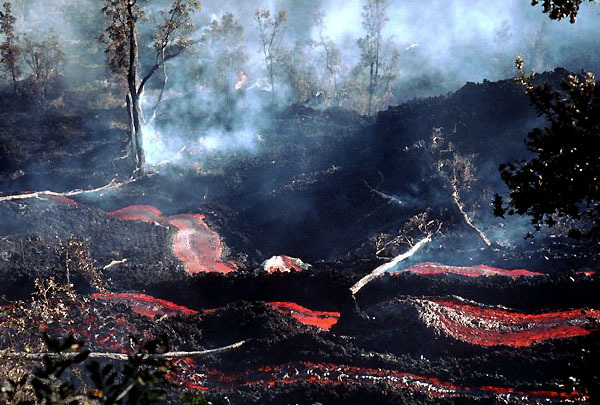 Pahoehoe and aa lava channels. Left: the awesome spectacle of lavaflows (mostly aa) at night. 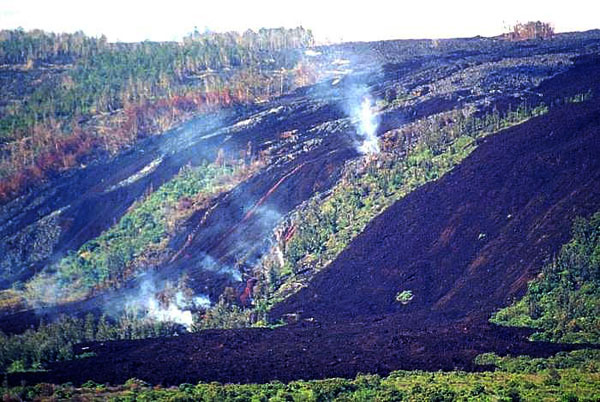 Below: aa flows devastate the rests of a small kipkua (forested island between older flows).